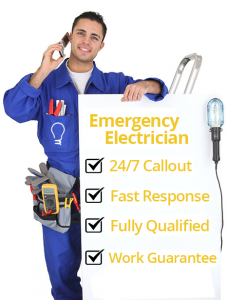 Anybody in need of quality electrical services should be prepared to spend a considerable amount of time and effort in search for the best electrician. Depending on how you go about it, you could have the right specialist by the day’s end, or after several weeks. A faster process offers a lot of convenience, especially if you are dealing with an emergency. Well, here are a few tips that should make things easy for you. First, you must ascertain the legitimacy of an electrician. Are they qualified for the job? A valid license should help you dispel any doubts about the technician. Anybody in possession of an electrical license must have studied, trained, and practised before being certified to offer electrical services. It is proof that they know and understand the electric and building codes of that state. You can reach out to the relevant authorities for assistance in verifying the license and any other certificates. Nobody will help you understand the electrician better than his previous clients. If the electrician can refer you to some of the people he has worked for previously, it would be a perfect opportunity to not only evaluate the quality of work, but also to learn more about their character. You need to know if the technician is somebody you can get along with. What is the electrician’s reputation in the industry? Is he a person you can rely on? Does he show up on time? Can he be trusted? If these questions are answered on the affirmative, then you know the wiring expert is up to the task. A warranty says a lot about an electrician. To start with, offering a warranty to clients shows the technician is confident with the quality of his services. He is ready to back up his installations, repairs, and maintenance by offering free services should a problem arise within a specified period. The leading electricians usually have warranties that extend for several months, and cover almost every single service offered. You can save a considerable amount of money through a good warranty. A liability insurance cover is a must-have for any professional electrician worth his salt. It caters for any damage costs, or injury expenses that may arise due to the electrical work in progress. After looking at different service providers, you may end up with a couple of experts whose credentials are just perfect. How do you pick the right one? Request for quotes and make comparisons regarding the overall charges and what they cover. Be on the lookout for hidden costs. In the end, quality of service should always take centre stage and not the price. Cheap rates from inexperienced technicians usually turn out to be costly. We have lost count of the number of times our electricians in Randburg have been called to re-do a job, days after they were done by other unqualified electrical experts. You shouldn’t put your family or employees at risk when you can rely on us for durable and satisfactory electrical solutions at competitive rates. We are the best wiring specialists around. Call today and talk to our friendly employees on 087 551 0613.